This is a good week to enact a financial plan connected to your business. This might be about negotiating a raise, reaching new clients, or taking someone up on an offer to help you. 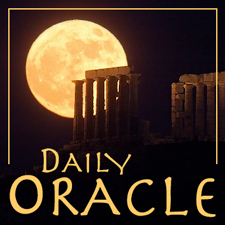 Today’s Oracle takes us to the Gemini daily for February 25, 2018. This is a good week to enact a financial plan connected to your business. This might be about negotiating a raise, reaching new clients, or taking someone up on an offer to help you. Let any such decision be founded on human warmth and our deep need to take care of one another.